the result is often a broken nail. 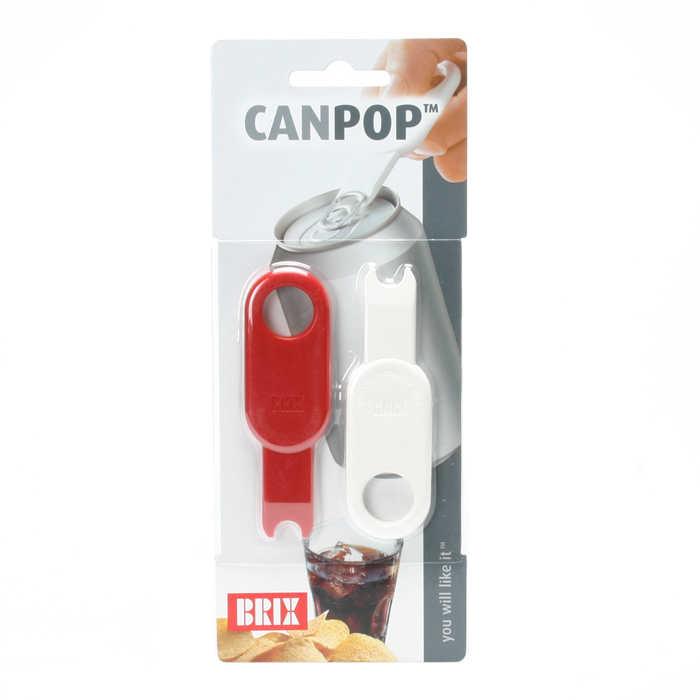 With the patented CanPop you can easily open your can. A handy opener for beverage cans. 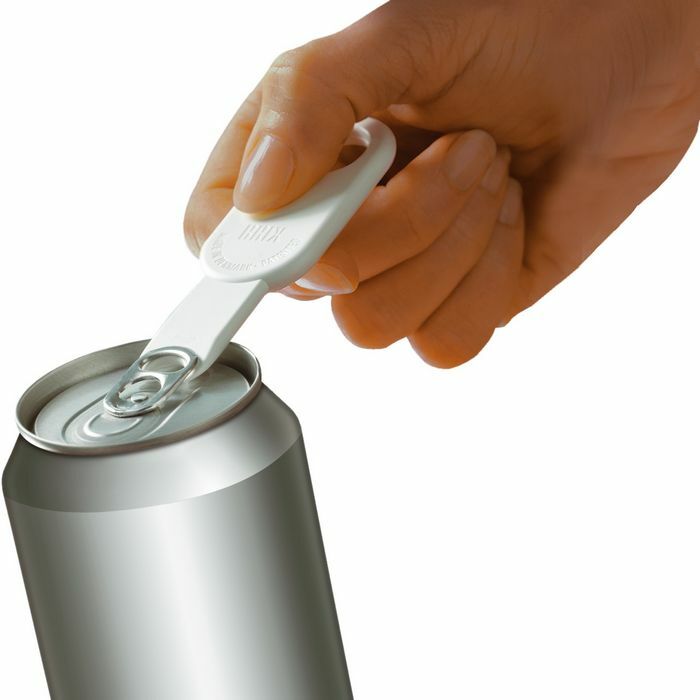 The opener is simply placed under the ring of the can, and with a gentle lift the can is opened. CanPop is designed so that the opener fits around the ring, avoiding the opener slipping to the side when lifted. The handle itself works according to the principle of the lever and therefore opens cans easily. CanPop is made of high-density ABS plastic in an elegant design. CanPop has no moveable parts, and is extremely durable.